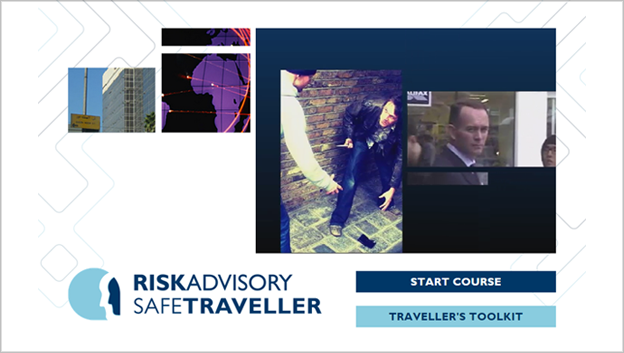 To create Safe Traveller, a one and a half hour online e-learning tool for Risk Advisory. At the end of each of 5 modules users must complete an evaluation exercise designed to enhance as well as test the knowledge they have acquired. 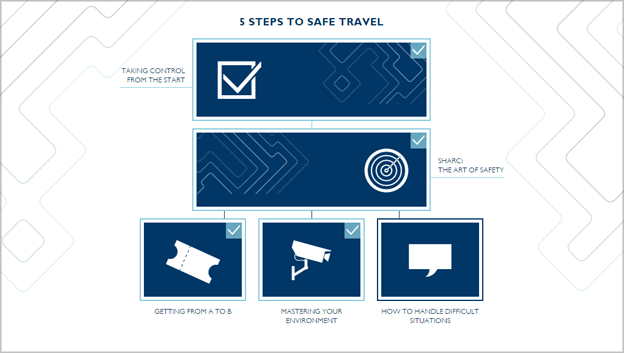 Safe Traveller allows corporate security and HR managers to rapidly and effectively roll out a highly cost effective and engaging travel security training programme across their travelling workforce. The project took just under 3-months to complete. Each of the 5 modules incorporates a unique animated style, After Effects and 3D (Maya). Each of them was animated to a timed final voice-over. The whole course was written by Risk Advisory using their highly respected instructor-led security awareness training. Safe Traveller delivers the essential elements of that training to travellers over the internet or corporate intranet. The course records the progress of each delegate, giving organisations the opportunity to maintain robust and universal security training records. 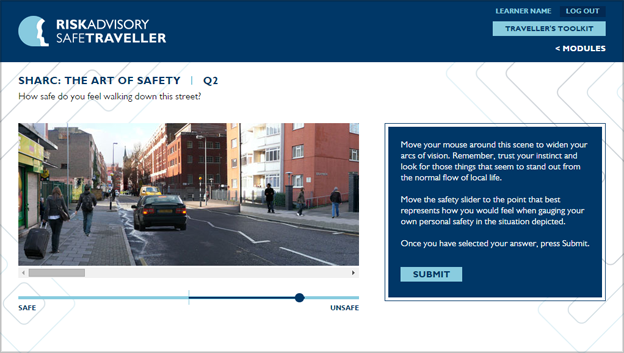 Safe Traveller features a bespoke LMS (Learning Management System), built using PHP, allowing clients to administrate their own employees’ access to the course, and to track their progress and results. The content has also been repurposed for deployment through SCORM-compliant Learning Management Systems, allowing it to be used within existing internal training systems. This also went through rigorous security checks with some of Risk Advisory’s financial clients.